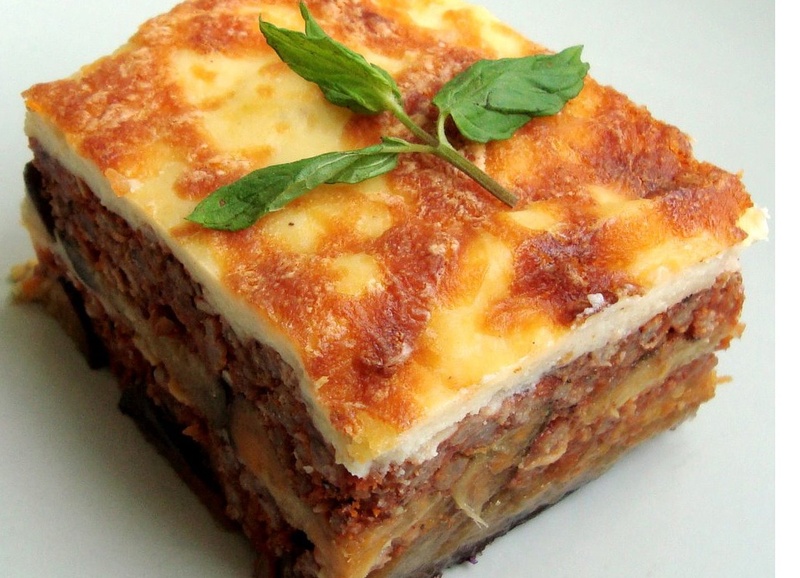 Greek Mediterranean food Athens Santorini Vacation. Athens and Santorini mini vacation with a full day tour to Mycenae and Epidaurus that includes two meals in Athens and Santorini in Greek restaurant to taste the famous Mediterranean food. Passing through the picturesque Saronic Gulf coastal roads, we arrive at the Corinth Canal. Departure for Nauplion through the province of Argolida. 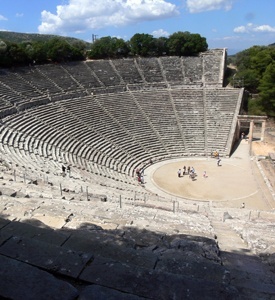 After lunch, visit Epidaurus. Epidaurus was a small city in ancient Greece, at the Saronic Gulf. Reputed to be the birthplace of Apollo’s son Asclepius, the healer, Epidaurus was known for its sanctuary, as well as its theatre, which is once again in use today. The cult of Asclepius at Epidaurus is attested in the 6th century BC. Early morning transfer to the port of Piraeus to board the boat to Santorini. Upon your arrival you will be met and transferred to your hotel. At night, your table is already reserved in a traditional Cycladic tavern to sample a variety of local specialities (drinks not included). 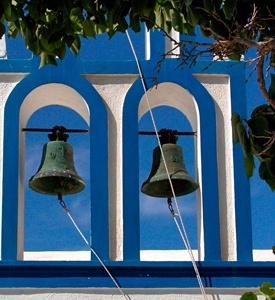 In the afternoon, drive to first stop Megalochori with typical vineyard, where we learn about the grapes of Santorini. Then a traditional local production and fermentation of wine for a guided tour, including new and old facilities, hear about the production of yesterday and today. Continue to modern wineries with a magnificent view of the volcano, “Santo Wines” – one of the largest wineries in Greece – where we will have the opportunity to taste a variety of wines produced in Santorini, including the famous Vinsanto. During the tasting, a small selection of bread, cheeses and olives will be offered. At the indicated time you will be transferred to the port to embark on the boat to Piraeus. 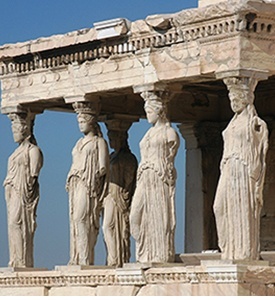 Upon your arrival, you will be transferred to your hotel in Athens. Overnight at selected hotel. According to your departure flight time, you will be transferred to the airport for boarding your return flight.